A pair of new standouts in the “going big” luxury category of senior living have emerged with the debut of Summit Vista, Utah’s first life plan community, which opened its 105-acre campus in the heart of the Salt Lake Valley in early October, and Amavida, a 32-acre resort-style independent living, assisted living and memory care community that opened in Fort Myers, FL, on December 1. Summit Vista is attracting hundreds of seniors who are lining up to take advantage of something many say they would never have imagined. 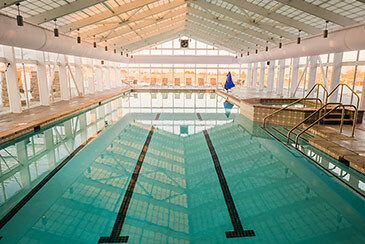 Summit Vista features a 62,000-square-foot clubhouse with amenities that promote active living, including a 25-yard indoor lap pool, a fitness center, clubs and activity studios, and three restaurants with menus of health-conscious options. Zoned for 1,500 independent living residents, Summit Vista’s first phase is already filling up with two buildings receiving residents. At its 1,800-unit maximum, Utah’s first continuing-care retirement community will make it the largest senior community in Utah. When complete, it will feature three clubhouses with clusters of five 100-unit housing complexes around each clubhouse as the phases spread over green spaces featuring gentle paths and climate-controlled skywalks—all with views of the mountains and the valley. Its onsite continuum of care will include independent living, assisted living, home care, nursing care, memory care and rehabilitation services. A key component to this life plan community is also providing seniors with easy access to high quality healthcare and financial services. Summit Vista contracted with key businesses, including Intermountain Healthcare and Zions Bank. 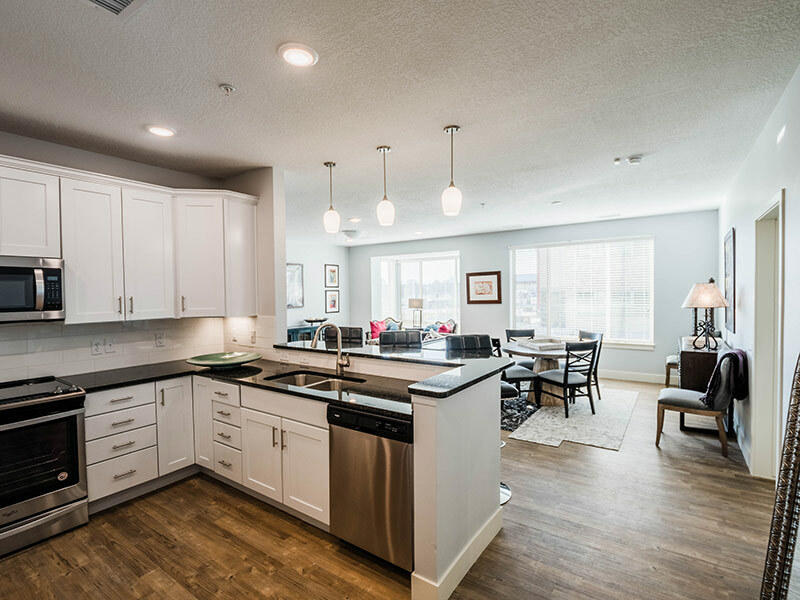 One key factor for Summit Vista’s popularity is its affordability, which was derived from an agreement not typical in most living arrangements for seniors. 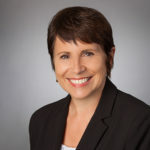 Summit Vista hasn’t branded its parent corporation yet, according to Kelly Ornberg, director of sales and chief marketing officer, but it is also pursuing land (two offers have been made) in Arizona. In addition, it’s developing the Magnolia Green property on the south side of Richmond, VA, and plans to build 10 properties in the next 15 years. 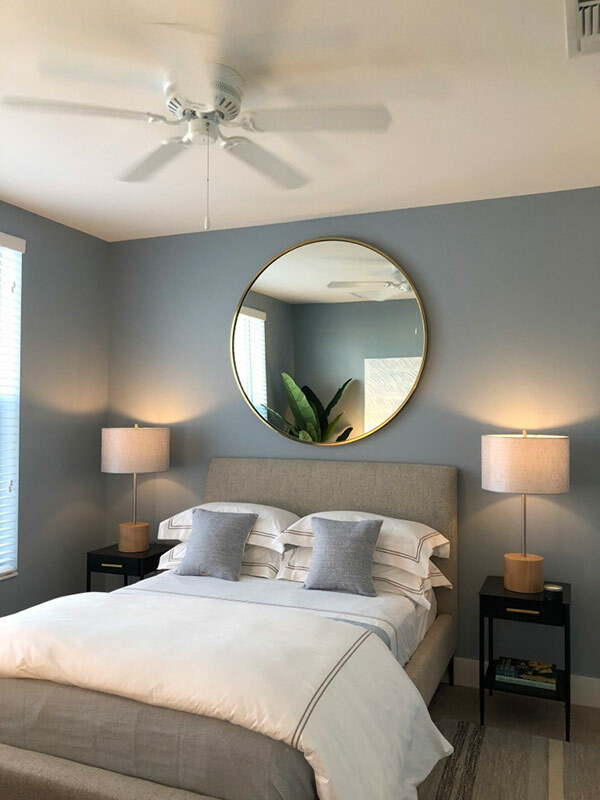 Meanwhile, Amavida—a new luxury resort-style 500,000-square-foot community in Fort Myers, FL—welcomed its first residents December 1. 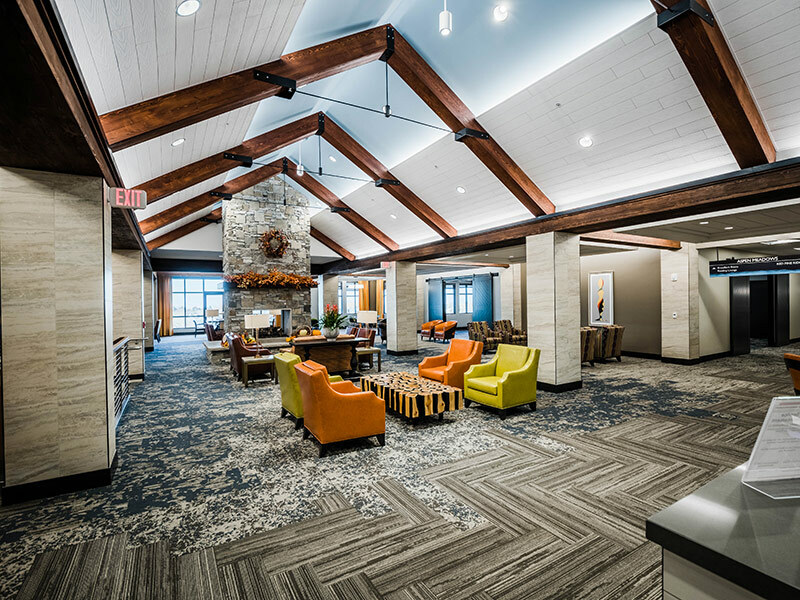 Amavida is the first foray into senior living for Amavida’s parent company Quadrum Global, an international real estate investment firm with a history in hospitality. 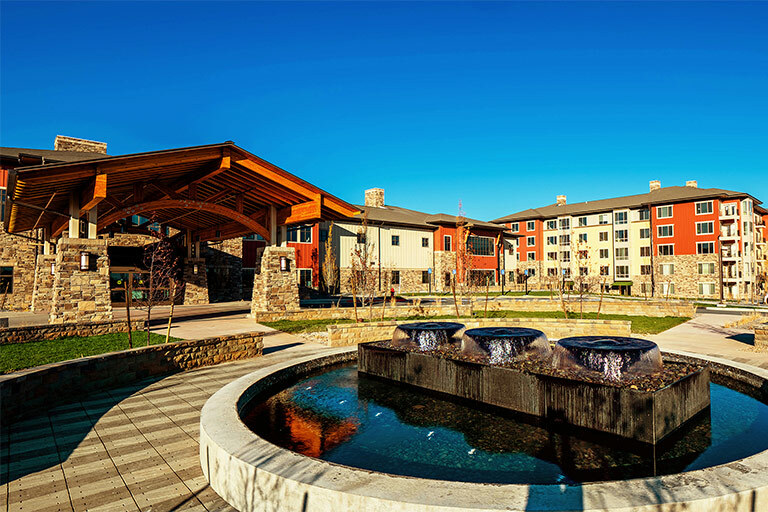 Adjacent to Lakes Park with connected hiking trails, Amavida has a “town center” feel with its mix of commercial amenities. Without leaving the community, a day at Amavida can include a choice of dining at three restaurants that range from casual fare to fine dining, and a bar and grill environment to al fresco service on a landscaped patio; catching a movie at one of several in-house movie theaters; swimming in a resort-style pool; fitting in a tennis, pickleball, bocce ball or basketball game; golfing on the Par 3 golf practice area; or indulging in a day at the Serén Salon & Spa. 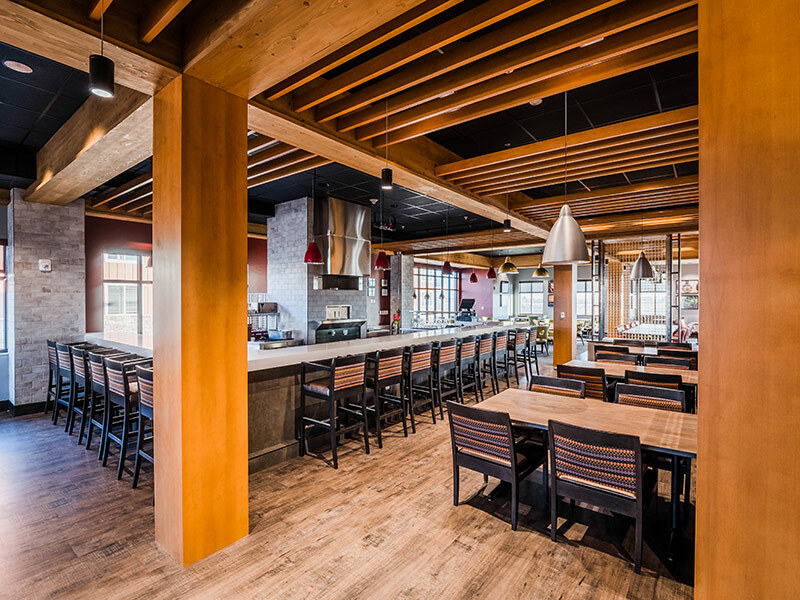 The Grind Café is an onsite gourmet coffee shop, and there’s a wellness and fitness center, art studio, library, courtyards and outdoor lounges, concierge and valet service, and full-time security. The AquaVida Clubhouse also doubles as a Category 5 hurricane shelter if need be. 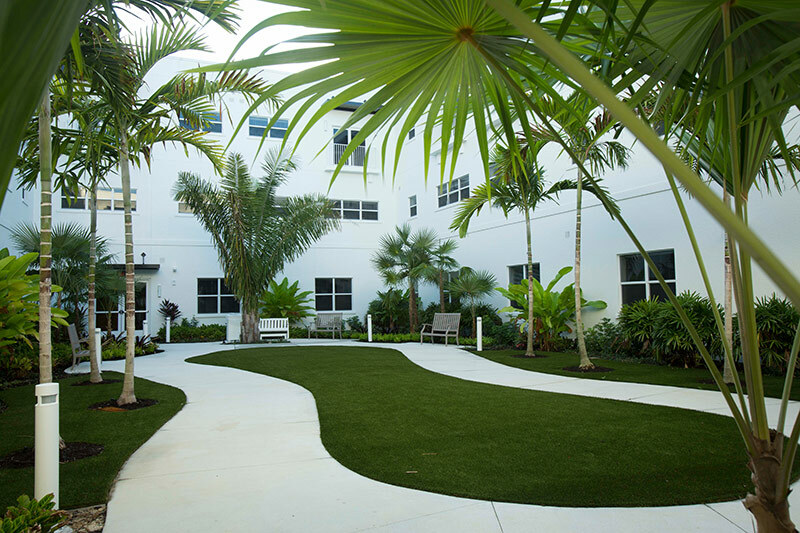 Amavida includes 460 residences, with 300 independent living units, 125 assisted living units and 35 memory care units. Residents interested in independent living have the option of a cottage or apartment, all with views of the community’s 32-acre setting. Cottage floor plans range from 1,500 to 1,700 square feet, with two to three bedrooms, two baths and a garage with extra space for a golf cart, with many options for other residences. The memory care section features wayfinding elements to help all residents navigate the community with ease. Walls are painted different colors in different areas so residents can associate sections with colors to easily recognize where they are. 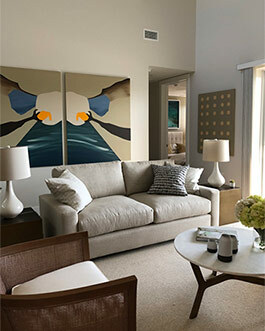 This design element contributes to the feeling of calm that Amavida’s interiors aim to provide for all of its residents. A nursing team is available to residents 24 hours a day, seven days a week, as well as an on-site pharmacy and medical clinic. 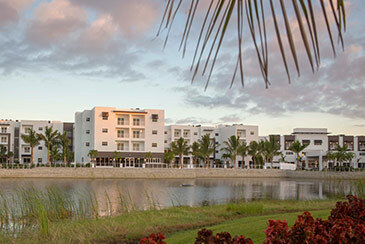 The $95-million Amavida development is based around a rental rather than ownership model. There is no buy-in requirement at the community. Instead, future residents can submit a deposit to secure their spot. 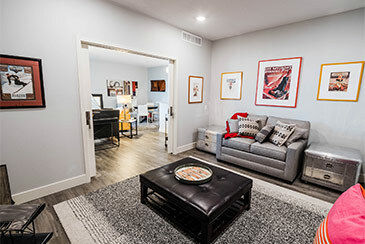 One-year rental lease agreements are available with monthly rates based on the selected floor plan and appropriate level of care, ranging from $2,600 to $6,000. Monthly rates are all-inclusive and allow each resident a $500 standard monthly dining allowance.